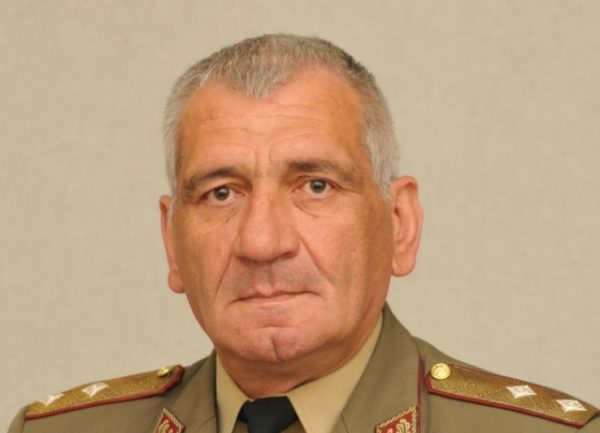 Bulgaria’s former land forces commander Andrei Botsev took office on March 8 as Defence Chief – the third officer to hold that post in about three months – with a promotion from major-general to lieutenant-general. Botsev’s appointment was decreed by Roumen Radev, Bulgaria’s President and as such commander-in-chief of the armed forces, following on a recommendation on March 1 by caretaker Prime Minister Ognyan Gerdzhikov’s Cabinet. The move was controversial because Botsev is the third person to be Bulgaria’s Defence Chief since early December. Initially, a vacancy was created when air force officer Konstantin Popov resigned as Defence Chief after the November 2016 election of former air force commander Radev as head of state. Popov said at the time that he wanted to give Radev a free hand to choose his own Defence Chief, though reports said that in their parallel careers in the air force, Popov and Radev – the former for years outranked the latter – had not got on well. Popov is now a candidate in Bulgaria’s March 26 2017 parliamentary elections for GERB, the party of Boiko Borissov, who resigned as prime minister in November after the victory of Radev on a socialist-backed ticket. In its closing months, the Borissov government nominated the navy’s Vice-Admiral Evtim Evtimov to be acting Defence Chief for a year. But that was cut short when the Gerdzhikov administration nominated Botsev. Political parties had appealed to Radev not to confirm Botsev’s appointment, but the President went ahead with the decree. Radev, speaking on March 8 at a ceremony to hand Botsev his higher rank, said: “In today’s worrisome geopolitical situation the role of our armed forces to ensure the sovereignty, territorial integrity and independence of the country will grow more and more. Lieutenant-General Andrei Botsev, Bulgaria’s Defence Chief as of March 2017. “Today we should be clearly aware that new risks and threats require the development of effective defence capabilities to ensure not only our role as a reliable and full participant in the (Nato) Alliance, but also ensure our own security,” Radev said. He said that it was now necessary to develop real skills and to take decisive steps to increase Bulgaria’s own defence capability, while increasing interoperability with Nato allies. “The Chief of Defence should be an officer and professional with extensive experience, who has gone through all the tactical and operational levels of command,” Radev said, adding that the Defence Chief should be acquainted with the problems with the army and enjoy its confidence. The Defence Chief should have a clear vision for the development of Bulgaria’s armed forces and their more complete integration in Nato, he said. Radev told Botsev: “I am confident that your experience accumulated over the years on your way from platoon leader to commander of the land forces, will pledge to tackle important and responsible tasks as Defence Chief. Thanks to your professionalism and undeniable leadership the personnel of the Land Forces successfully solved all the challenges internationally and nationally”. Radev said that it was essential to take steps to address the alarming problem of the incompleteness of Bulgaria’s military formations, while raising the prestige of the military profession and the motivation of military personnel. The Gerdzhikov caretaker Cabinet, at a meeting on March 8, proposed to Radev to appoint Brigadier-General Mihail Popov, deputy commander of the land forces since 2015, to take over as acting land forces commander for a period of up to a year.